Universities will be able to charge up to £11,100 per year for new "accelerated" degree courses lasting two years, instead of three, under new proposals put forward by the universities minister Jo Johnson. The courses will have the same content and the same amount of teaching hours, but would save a total of £5,500 in tuition fees. Two year courses already exist, but just 0.2% of students take them up, according to the Johnson. 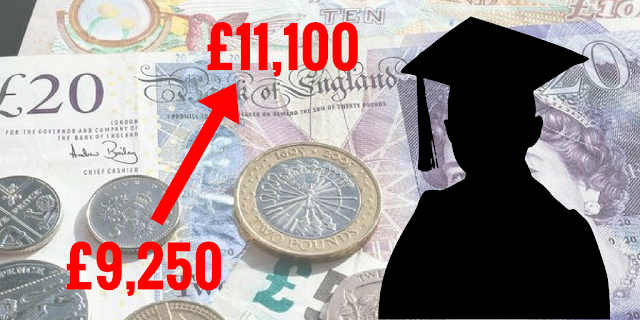 The new proposals will allow universities to charge an extra 20% as an incentive to offer them. The Department for Education wrote that students could be better off by £25,000 by taking a two year course - when living costs and joining the job market earlier are factored in. The proposals will have to be approved by Parliament, though could be in place by the start of the next academic year (September 2019). Johnson said: “There are savings for the student, big savings for the taxpayer, and universities have an incentive now to offer these courses, because instead of losing all of that final year of income, they just forgo a proportion of it". However, the proposals have faced criticism from some who say two year degrees will "compromise the student experience". Though shorter degrees have won the support of the independent Office for Fair Access, who's head Professor Les Ebdon said: "Accelerated degrees are an attractive option for mature students who have missed out on the chance to go to university as a young person... Having often battled disadvantage, these students can thrive in higher education and I hope that now many more will be able to take up the life-changing opportunity to get a degree."